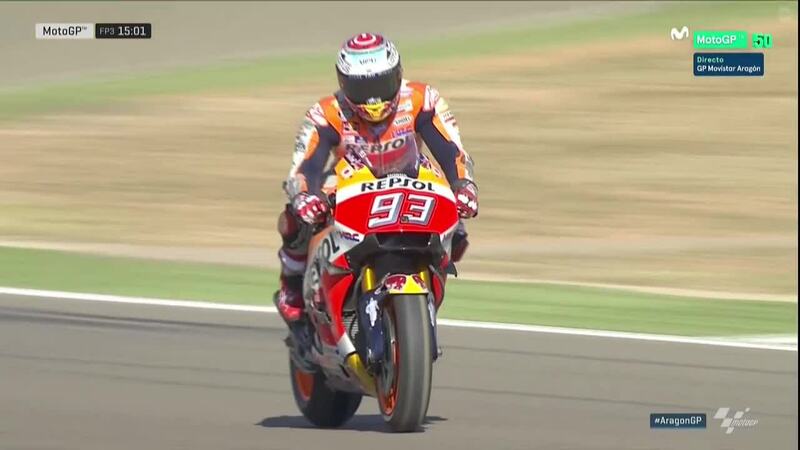 Marc Marquez (Repsol Honda Team) took early control of FP3 on Day 2 at MotorLand, putting in a 1:47.810 to top the session early on and demolish the field as the majority of the early laptimes saw rivals in the 1:49 bracket. 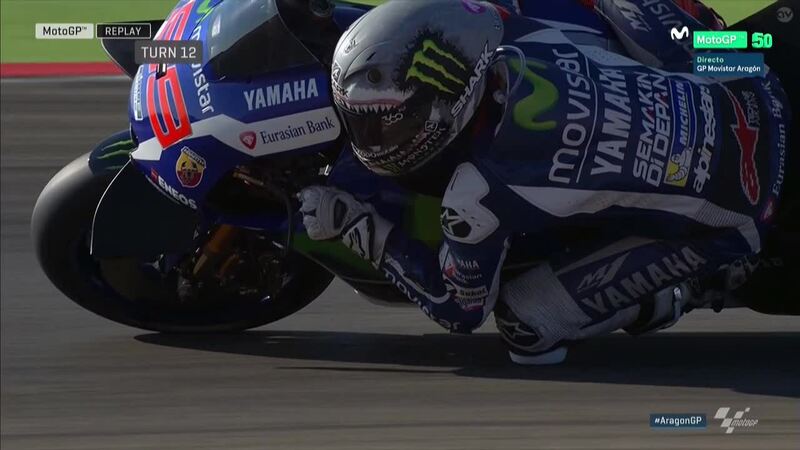 Title rival Valentino Rossi (Movistar Yamaha MotoGP) took an early tumble at Turn 9 that ejected the Italian legend from his Yamaha – but it was rider ok and back out soon after to become the first man into the 1:48s behind Marquez. 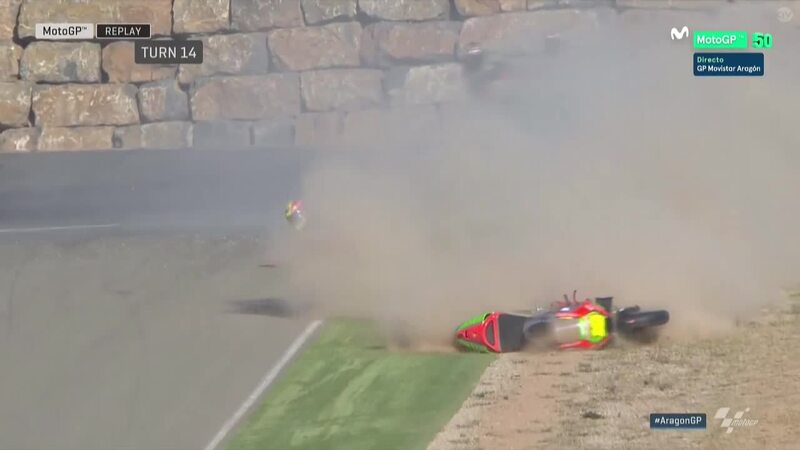 More drama then hit at the midway point as Pol Espargaro (Monster Yamaha Tech 3) lost control of his machine into Turn 2 and slid across the asphalt – with the bike sliding over the exit to pit lane and colliding with Danilo Petrucci (Octo Pramac Yakhnich). 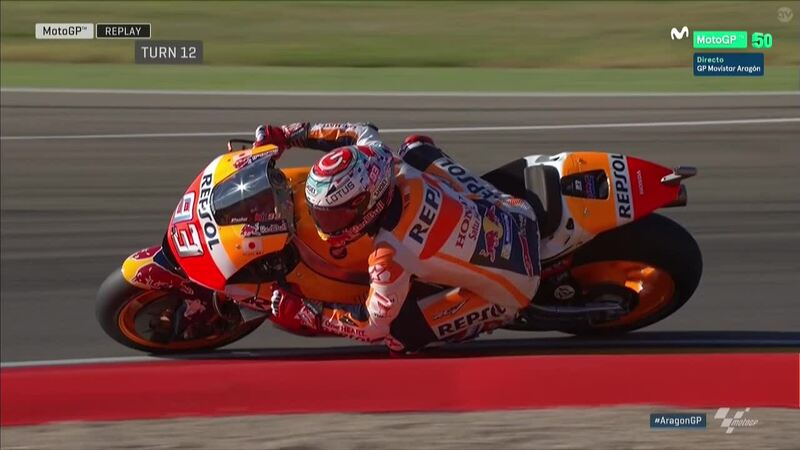 The Spaniard ran over to check on the Italian, with both riders ok and soon back out on track – normality resumed, until another incident a few minutes later. 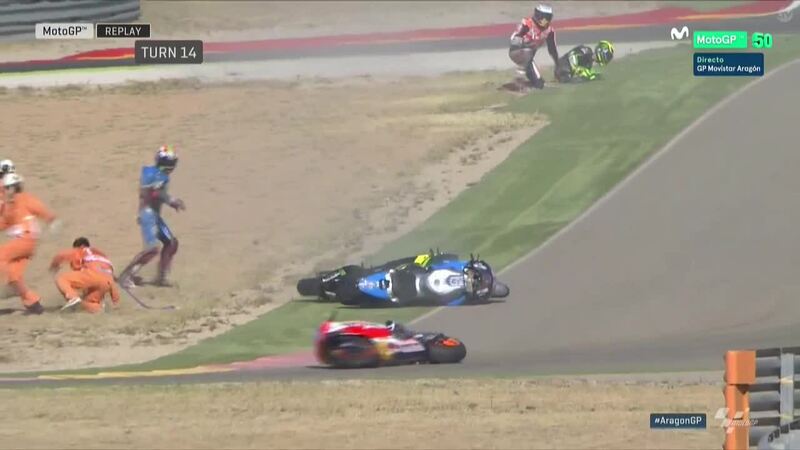 With 15 minutes remaining, Jack Miller’s injury replacement Nicky Hayden (Estrella Galicia 0,0 Marc VDS) lost his Honda into Turn 14 – seconds before another incident further up the track hit Marquez and Pol Espargaro. 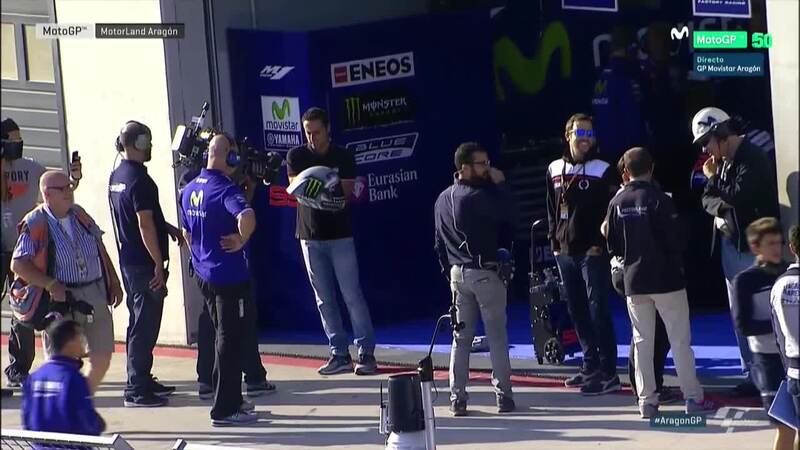 With the Repsol Honda and Monster Yamaha Tech 3 bikes sliding down towards the stricken EG 0,0 Marc VDS machine, Hayden and the marshals moved to avoid any further incident as Marquez got to his feet to check on Espargaro. 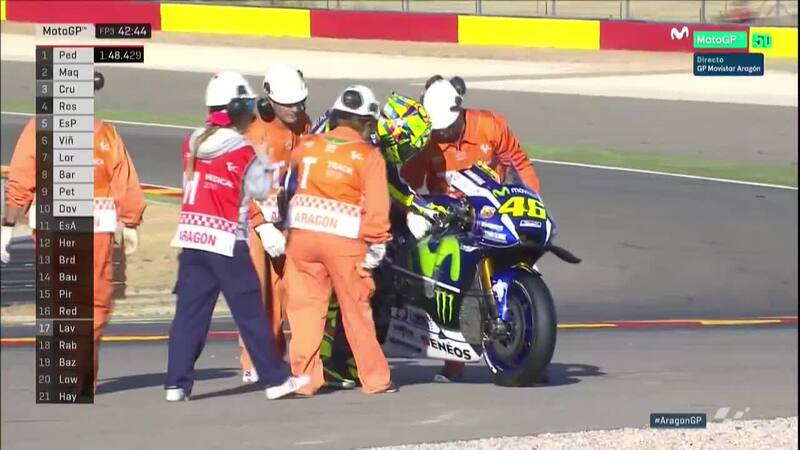 All three riders then headed back into the pits, with Marquez soon back out but Espargaro then forced to play the waiting game after the incident had involved his second machine. 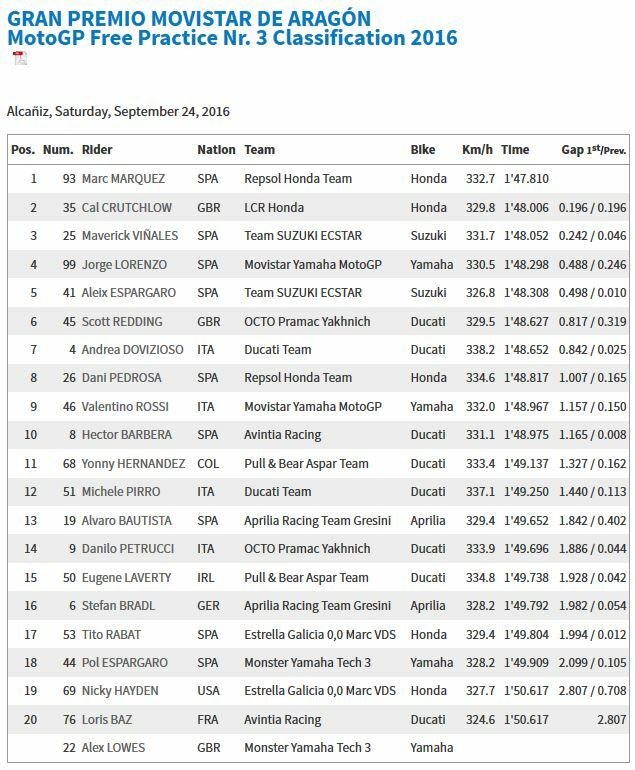 The last thirty seconds saw the times tumble instead of the riders, with Marquez safe at the top but big improvements coming in after the start of the session. 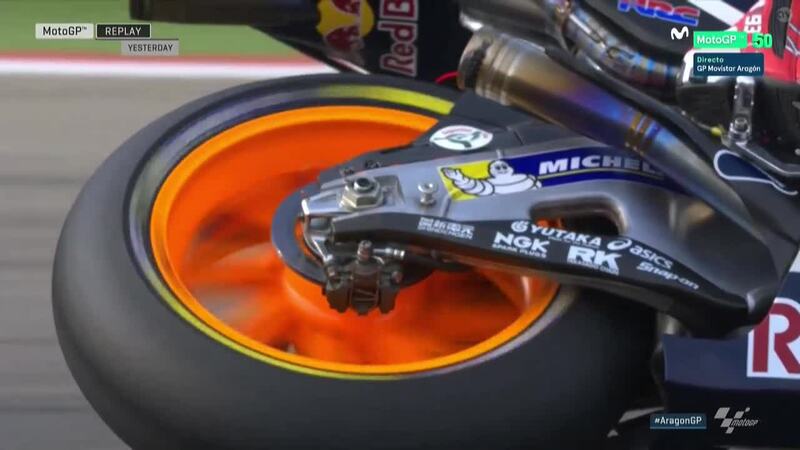 Cal Crutchlow (LCR Honda) moved up one place from Friday to prove the first to follow Marquez into Q2, followed by Maverick Viñales (Team Suzuki Ecstar) and Jorge Lorenzo (Movistar Yamaha MotoGP), who leaped up the timesheets into P4. 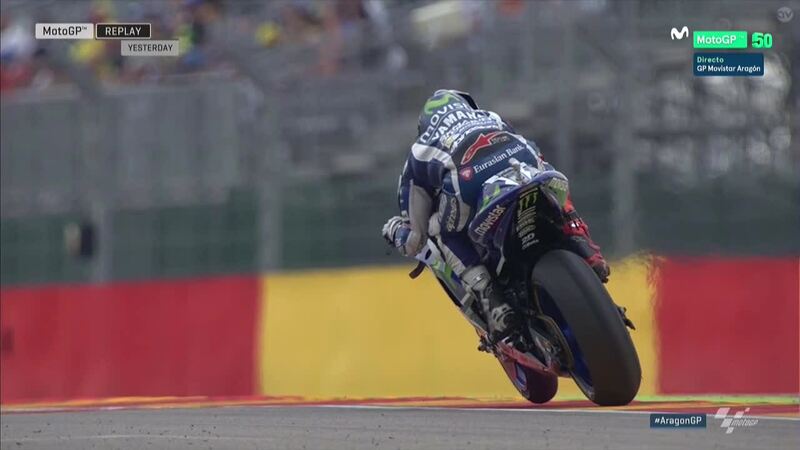 Aleix Espargaro completed the top five to graduate to Q2 on the second Suzuki, just ahead of Friday’s fastest Dani Pedrosa (Repsol Honda Team). 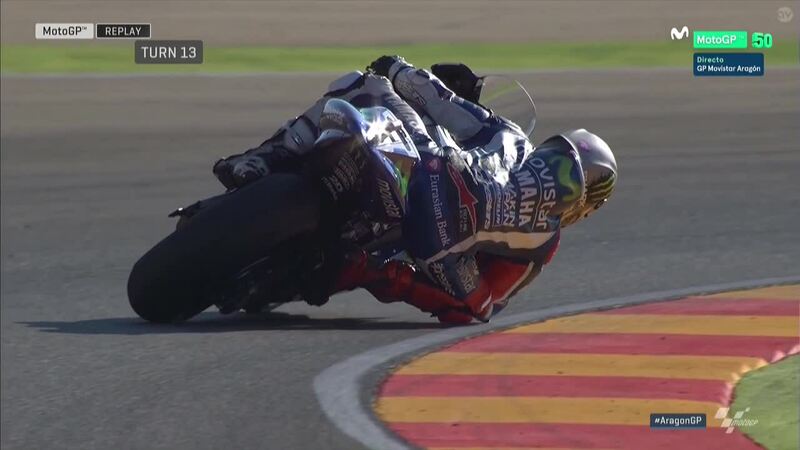 Scott Redding (Octo Pramac Yakhnich) made big progress in FP3 to move into Q2 in P7 as the fastest Ducati on combined times, ahead of Ducati Team’s Andrea Dovizioso. 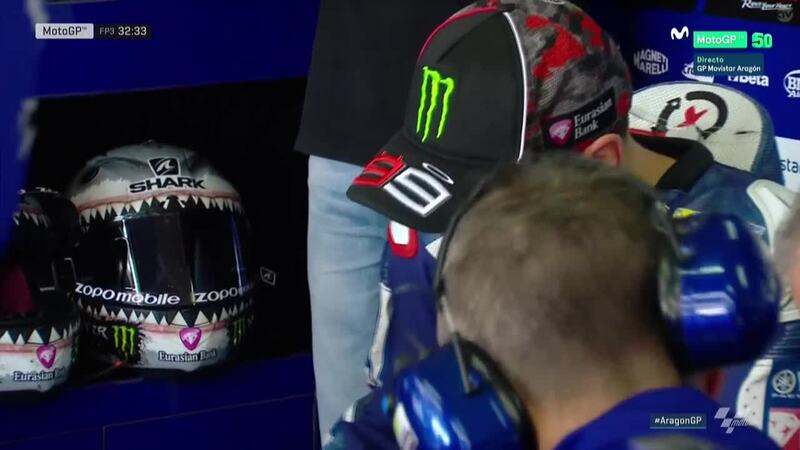 Valentino Rossi survived the cut off to Q2 in P9, with Pol Espargaro hanging on to lock out the top ten after being forced to watch much of the session from the sidelines.